Self-help books, motivational videos and even inspirational quotes taped to the bathroom mirror can help guide us through life and provide us with lessons and words to live by. However, you can find an often-overlooked source of guidance right in your living room: your family dog! Here are four things dogs can teach us about life. Dogs don’t waste their time with grudges. Whether you lost your temper with a friend or family member and vented your feelings to your pup or you didn’t give him a treat before bed, a dog will still love you. They do not take negative experiences and stew on them for days. Instead, they live in the moment and move on. Our furry friends are onto something here, notes The Huffington Post. Holding grudges weighs you down emotionally, keeping you from living in the moment and stranding you in the past rather than allowing you to move forward. Letting go of grudges allows you the freedom to enjoy life carefree – just like your dog! Life is truly about the journey rather than the destination, and no animal understands this better than our furry canine companions. Dogs don’t care where they are going – they simply love the ride. Whether riding in the car on the way to the park or to the vet, dogs will stick their head out of the car window and feel the air running through their fur, enjoying each moment. Getting attached to outcomes sets us up for frustration or anger when things do not turn out as expected. Take a page from our four-legged companions instead and allow yourself to enjoy the journey and live in each moment. Dogs exist in the present and in the moment. Dogs want to take their walk now, not tomorrow; they want to be fed now, not later. When you can stop procrastinating and putting things off, you will find yourself less stressed and more satisfied with your life. You don’t know what will happen tomorrow. Instead, worry only about today and get things done when you say you will. Guide your choices based in the moment, says mindbodygreen, rather than looking out for what tomorrow will bring. Dogs typically love you the moment they lay eyes on you. From the time you bring a dog into your family until their last moments, a dog loves you with its entire self, not holding back their affections. Dogs go for it and give you their all, loving you, your friends and your family with all they have. The more love you can share with others, the better. Don’t worry about what others think or how they feel. Instead, spread love to all and treat everyone as a friend – just like dogs do. Bring home your own four-legged life coach from Pauley’s Pups today! We specialize in toy dog breeds, and offer a great selection of pups who will become well-loved members of your family. 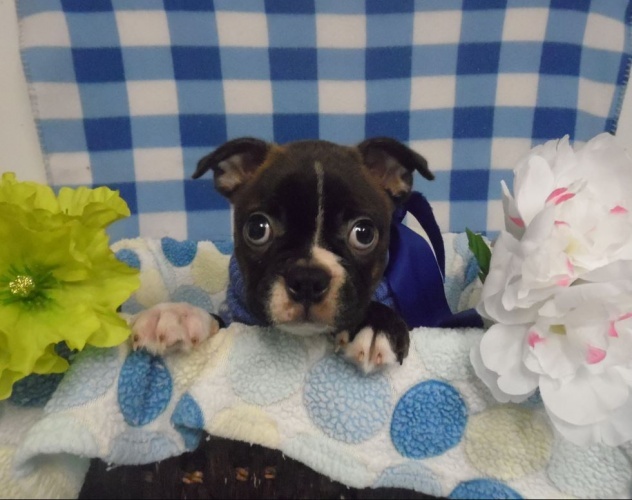 Check out our currently available puppies online now, or stop in and see us in Ashland, Virginia today. To learn more, give us a call at 804-798-7877.